If you’re a parent faced with a divorce, it’s common to feel anxious about custody. As parents, you love your child, and want the best for him or her. The problem is when both of you feel as though you are the best person to have sole custody. In this case, a court will grant sole custody to the best parent or joint custody if both parents are adequately able to care for the child. Understanding Kentucky child custody laws can help you prepare to handle the court’s decision. In most situations, a judge will grant joint custody. This means that both parents will have to come to decisions that affect the child’s welfare, such as medical care, religious affiliations, school attendance, and more. This also means that both parents will have to share physical custody, which is the time spent at each parent’s residence. When one parent is considered “unfit,” the other parent may receive sole custody. Sole custody means that the child will reside at that parent’s house full-time, and that parent makes all of the decisions that affect the child. The “unfit” parent may receive visitation rights. The divorce decree will include the conditions of visitation, and the parent with sole custody must follow them. At times, a court may recommend that one parent have physical custody, while the other parent receives legal custody. This means the child lives with one parent, but the other parent makes all of the decisions concerning the child. 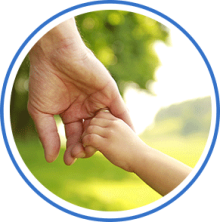 In Kentucky child custody cases, the judge always considers the best interest of the child. To prove yourself competent to care for your child, you will have to show the judge proof you can adequately provide for and protect your child from harm. Documents, research, and professional witnesses can influence the judge’s decisions. Knowing what to bring to court is important to help your child custody case. While many couples decide to go through divorce mediation, when a decision cannot be reached concerning the future of their child’s care, a child custody attorney can help. Kentucky has many child custody laws that differ from other states, so it’s important to know what they are, so you don’t end up losing rights that are lawfully yours. A child custody lawyer in Northern Kentucky can review your case to find out what you can bring before the court to justify custody. Usually, the lawyer will seek proof of current living situation, income, physical and mental health stability. A child custody attorney can also help seek compensation for factors having to do with child support, such as whether or not a parent should pay monthly despite joint custody. This usually has to with the divorce leading to one parent having a more lavish lifestyle over the other because of a significant difference in incomes.